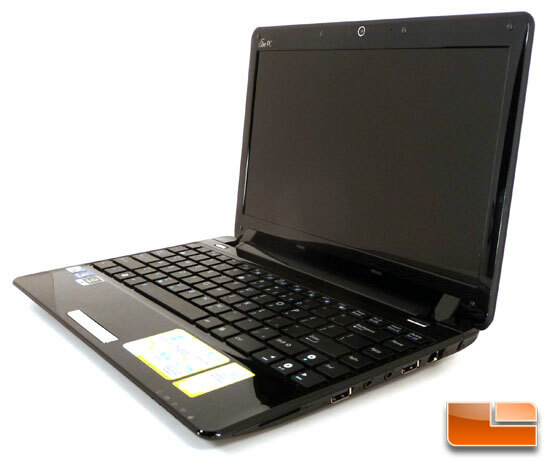 The netbook market has exploded over the past year and a half with offerings from companies like Dell, MSI, ASUS and many others. With the economic issues over the past year, customers have jumped on the sub $400 netbooks for their extreme portability and long battery life. As the economy has begun to improve, consumers now are starting to demand more. Netbook critics have always brought up the limitations of netbooks. A 10-inch screen is small, old Pentium 4 technology does seem obsolete and integrated graphics limit the ability to play games and view HD content. Today ASUS has offered up a solution to silence these critics with their Eee PC 1201N. The ASUS Eee PC 1201N features a 12″ LCD screen, a dual core Intel Atom N330 paired with NVIDIA ION technology that adds in GeForce 9400m discrete graphics. Traditionally, this platform has been reserved for nettops, so this is one of the first times the NVIDIA ION platform has been released in a netbook form. ASUS even kept the price point low for the netbook theme and the Eee PC 1201N can still be had for under $500. Read on as we take the ASUS Eee PC 1201N through the paces to determine if this is the answer netbook critics have been looking for!